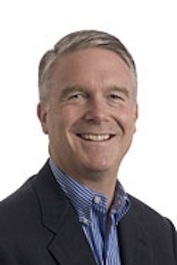 Ralph E. (Chris) Christoffersen, Ph.D.
Hank Plain joined Morgenthaler Ventures in 2007 after more than 25 years in the life science industry, including co-founding eight medical device start-ups and directing the exits of seven companies with a combined value in excess of $3 billion. He is based in Palo Alto, California and is focused on medical device investments. In March 2014, Cardinal Health announced plans to acquire Access Closure for $320 million. Hank serves as a board member of the company. In April 2014, Ulthera, Inc. announced the acquisition of Cabochon Aesthetics in cash and milestone payments. In 2011, Medtronic completed the acquisition of Ardian for $800 million, plus uncapped annual revenue growth milestones through Medtronic’s fiscal 2015. Hank is a founder, helped incubate Ardian at The Foundry, and served as a Director of the company. In 2010, Hank was a board member and on the deal committee that successfully negotiated the $785 million acquisition of Acclarent by Johnson & Johnson. Hank continues to serve as Vice Chairman of The Foundry, the medical device incubator based in Menlo Park, CA, where he co-founded Ardian, Cabochon Aesthetics, ForSight Labs, ForSight Vision2, Miramar Labs, and Transcend. He also served as President and CEO from 1993 to 2000 of Perclose, Inc., where he led the company to $100 million in sales and managed the company’s successful IPO and $680 million acquisition in 1999 by Abbott Laboratories. He was Chairman of Embolic Protection, where he helped negotiate the acquisition of the company in 2001 by Boston Scientific. He also served as a Director at TransVascular until Medtronic acquired the company in 2003. Previously, Hank worked at Eli Lilly for 12 years in various management positions.